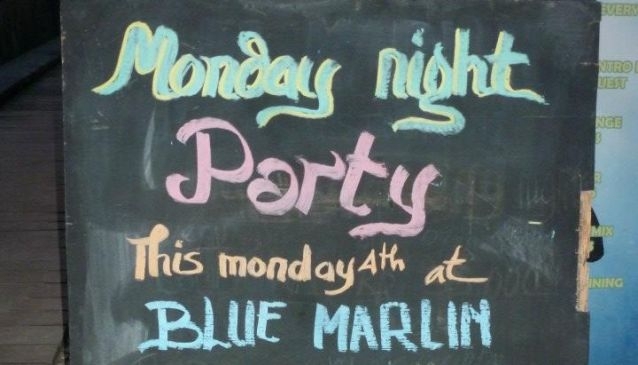 Another great feature of the Blue Marlin Dive Centre is its Monday night party. Claiming to be the island's biggest party on a Monday, it does a lot to live up to it. With four bars that hold all the drinks you desire and DJs that know just the right songs to get a crowd going; you will have a reason to finally love Mondays. The parties are often themed and fittingly there is also a costume competition with some great prizes involved. The party starts at 10pm and continues into the early hours of Tuesday morning (what a fun way to start your week). Make sure you come dressed the part, and have an fabulous time on a Monday night at the Blue Marlin.